Western diplomats warn that Tehran is in its final stages of placing centrifuges in the underground uranium enrichment facility at Fordow. Western diplomats said on Thursday that it appears as though Tehran is in its final stages of placing centrifuges in the underground uranium enrichment facility at Fordow. The diplomats, who spoke to the Reuters news agency, noted that for some unknown reason the new centrifuges have not yet been activated. The sources said that they received indications that Iran has placed in the Fordow facility 640 centrifuges out of the 2,800 that were supposed to be installed there. The reports seem to confirm remarks by a Western diplomat registered with the United Nations' International Atomic Energy Agency (IAEA). The diplomat said last week that it is believed Iran continues to install centrifuges at the Fordow plant. 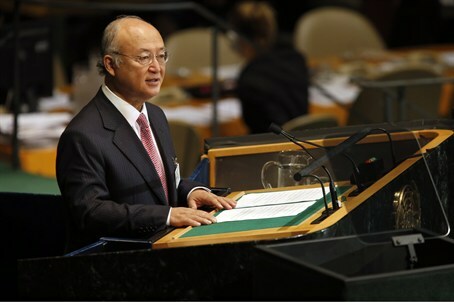 The IAEA reported in August that Iran had installed 350 new centrifuges since May, in addition to a previously-reported 1,000 that have been installed as part of Iran’s plan to have 3,000 centrifuges working. A report published two weeks ago in the Wall Street Journal warned that Iran will be able to produce weapons-grade nuclear fuel in the next two to four months. The assessment was made by former inspectors for the IAEA and other nuclear experts. The Fordow facility near Qom is underground, heavily fortified and protected by the armed forces, making it a very difficult target for air strikes. The existence of the facility only came to light after it was identified by Western intelligence agencies in September 2009.